Hundreds of Palestinians on Friday took to the streets in protest at Israel's house demolition policy in Qalansuwa city in the Palestinian territories occupied since 1948. Arab 48 said that many Palestinian notables and Arab members of the Knesset took part in the demonstration. 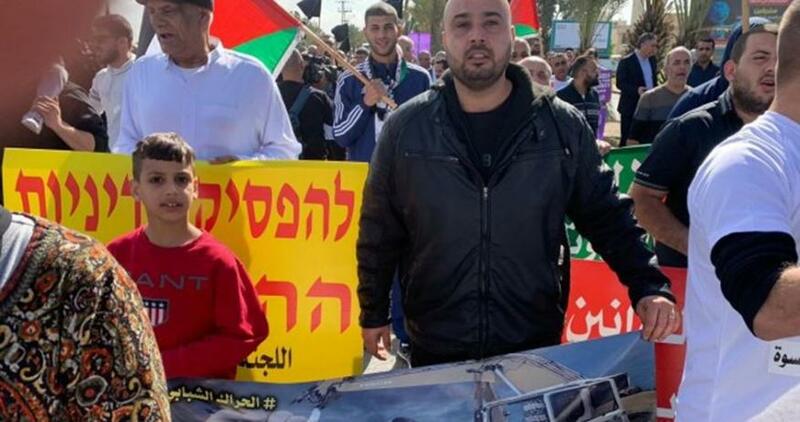 The demonstrators roamed the city towards Palestinian houses that have been recently threatened with demolition under the pretext of lacking Israeli building permits. The demonstrators chanted slogans condemning the demolition policy and calling on all national forces to unite and take part in the protests to put an end to the Israeli policy. Friday's demonstration was part of a series of protest steps organized by national groups and youth movements in Qalansuwa in confrontation of the demolition campaign threatening dozens of Palestinian homes in the city.